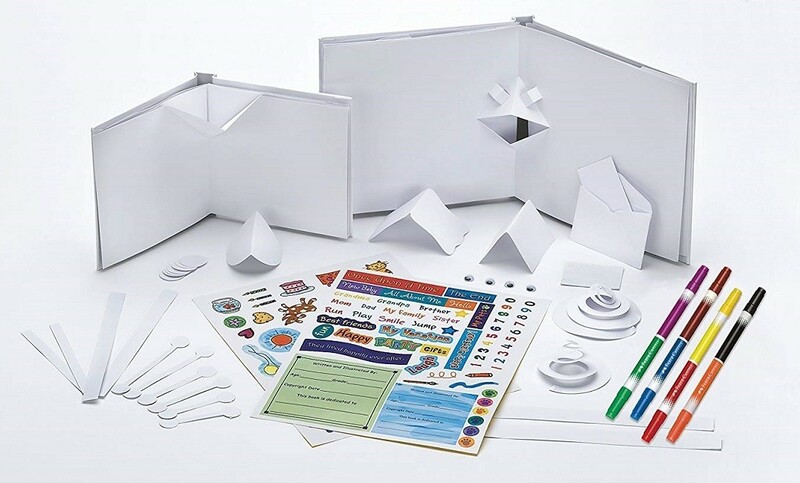 If she loves pop-up books, she can create her own with this fun set from Creativity for Kids! 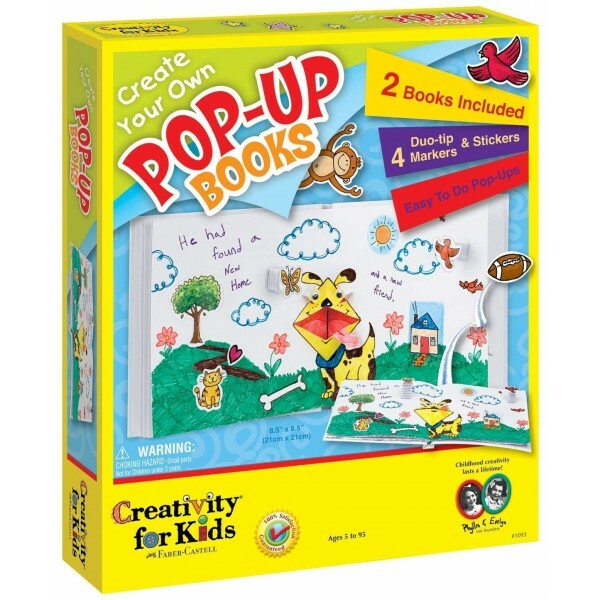 This set from the Create Your Own Books series includes two high-quality 6.25" hardcover pop-up books, and well as stickers, eight markers, and pop-up designs. 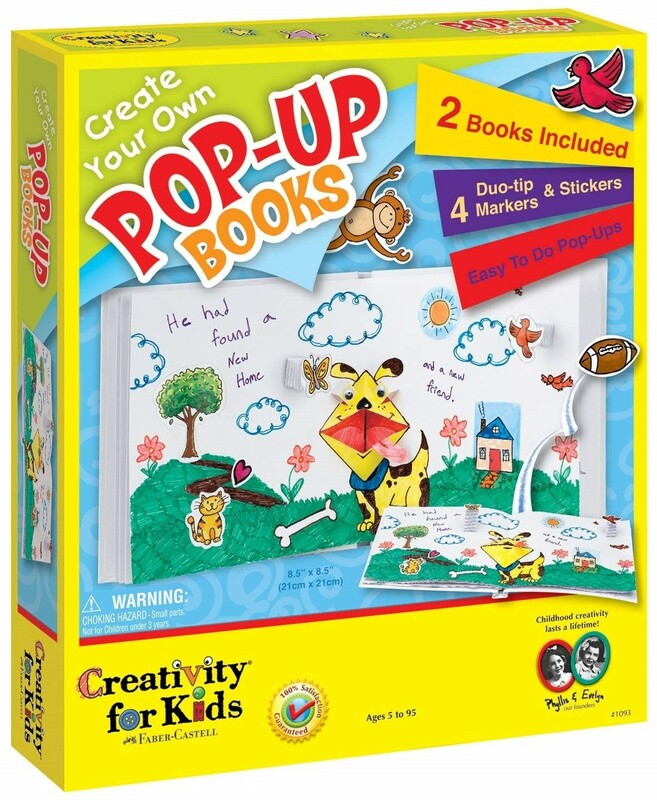 Then add drawings, photographs, and your own imagination for a totally unique pop-up creation. Illustrated instructions include story starter ideas and step-by-step pop-up ideas to spark your little author's creativity! 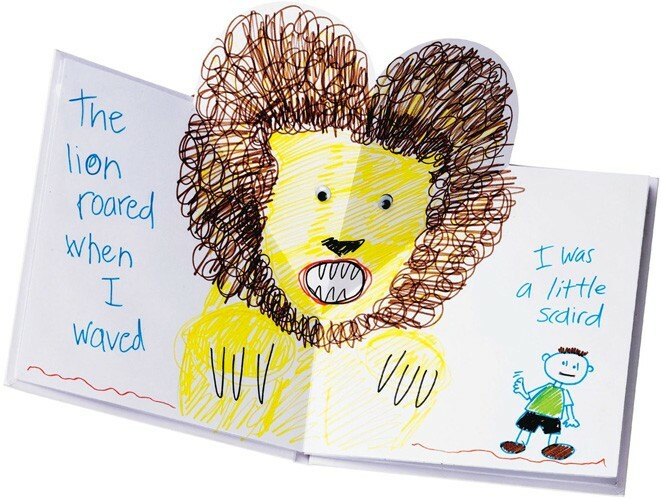 For more ways to encourage kids' interest in creative writing and storytelling, visit our Writing & Journaling and Reading & Literacy sections.